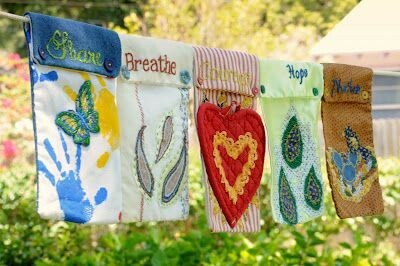 Inspired by the traditional use of prayer flags, participants will create mixed media fiber art designs using hand and machine sewing centered around the idea of hope. Fabric flag designs will be strung together ready to hang up in your home, out in the garden, or to gift to a friend. Participants are encouraged to bring found objects and fabric that is meaningful to them.